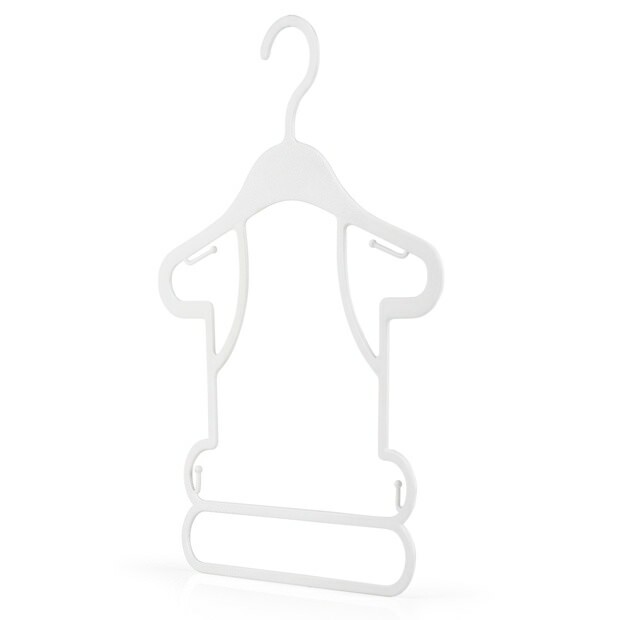 High quality white plastic frame hanger for shop displays. Versatile hanging for all baby and toddler clothes. Excellent for displaying garments such as tops, dresses, skirts, trousers, swimwear & babygrows. Lower trouser bar making it ideal for displaying two piece sets. Smooth finish with lower and upper skirt/trouser loop hooks. Size: Width x Height 26cm x 34.5cm (10.2" x 13.6") approx. My friend makes lovely outfits for youngsters and had a problem with the skirts and tutus falling off the hangers. We found this perfect hanger that not only holds the outfits in place but displays them beautifully. They are so good we bought them twice......so far! Highly recommended.